Destinations - Where does the coal go? The World showing political divisions, Mercator’s Projection [c.1940's]. 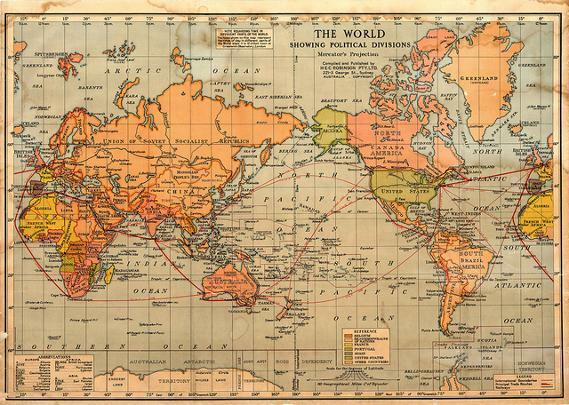 Red lines illustrate trade routes. Why the difference? Consumption of and production of coal had changed worldwide. Australia only produces 6% of the world's coal, China produces 54% but is also the largest consumer of coal worldwide. The USA is the second largest producer and consumer of coal. Download the Powerpoint presentation below for more information.